2017 saw two foundational trends continue in the Napa real estate housing market. 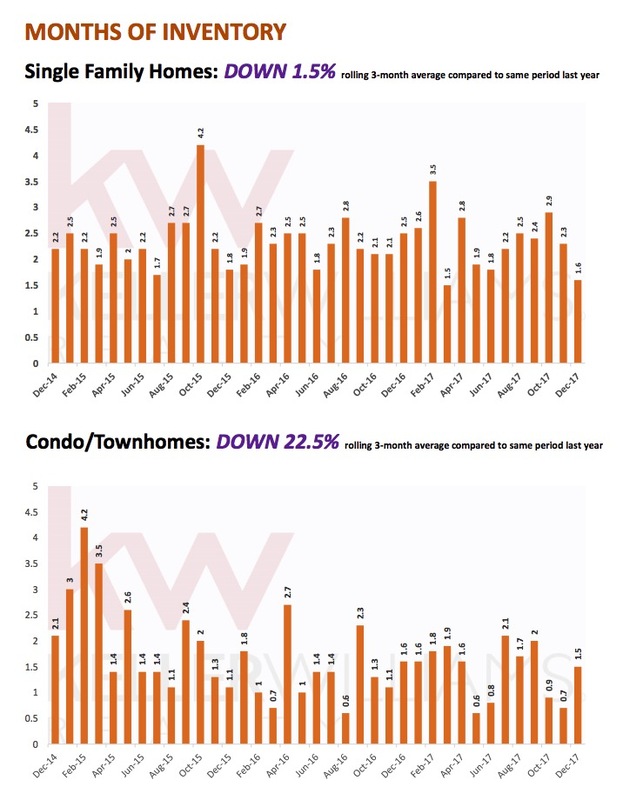 Single family home prices continued their trend upward while inventory in both single family and condominium homes continued their trend downward. Two changes, one already implemented and one in the making, may have a significant impact on the housing market, in Napa and across the country. First, the tax changes may impact buyer behavior with the reduction in deductibility of mortgage interest and possibly state income taxes and property taxes, with the latter two still up in the air. 2017’s median sales price is up 13.3% from 2016. 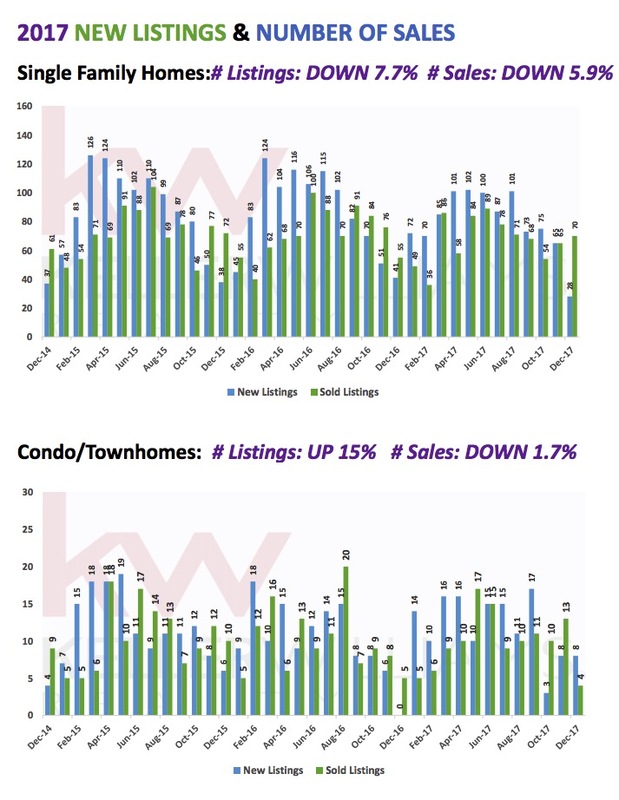 There were 7.7% fewer new listings in 2017, and 5.9% fewer sales. Inventory ended 2017 down 1.5% from 2016, the lowest level in 5 years. The median percent of list price received was 96% for 2017. 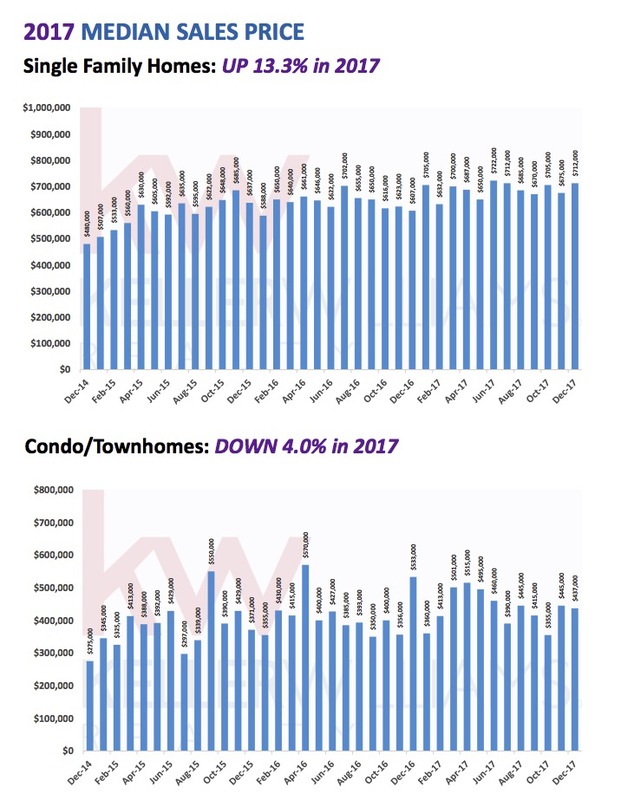 2017’s median sales price is down 4.0% from 2016. There were 15% fewer new listings in 2017, and 1.7% more sales. Inventory ended 2017 down 22.5% from 2016, the lowest level in 15 years. 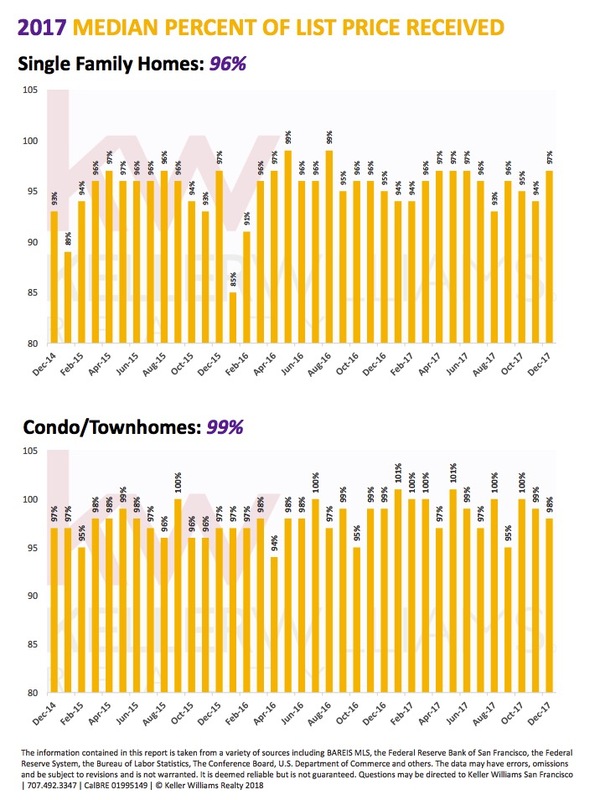 The median percent of list price received was 99% for 2017.